Bursitis is inflammation of fluid-filled sacs called bursae which are present near the joints and cushion your muscles, tendons and bones. The bursae are lined with cells that form the synovial membrane and they secrete the synovial fluid. This fluid lubricates the joints and ensures smooth movement of joints. There are around 150 bursae in the body and healthy bursae ensure smooth movement and functioning of the joints. When inflamed, movement becomes difficult and even muscles become stiff. Bursitis can affect heel, knee, shoulder and elbows. Symptoms include warmth in the affected joint, swelling, redness, stiffness especially in the morning and joint pain or stinging pain. Bursitis is generally caused by repetitive movement and excessive pressure at a particular joint. Inflammatory conditions like rheumatoid arthritis, gout, systemic lupus erythematosus, scleroderma can also cause bursitis. Other causes of bursitis include immune deficiencies and traumatic injury. Age and certain occupations or hobbies that involve repetitive motion can increase your risk of developing bursitis. Treatment for bursitis includes physical therapy, medications, injections and surgery in some cases. Medications involve steroids, anti-inflammatory drugs and painkillers. Infected bursae may require antibiotic therapy. Turmeric is a spice native to South East Asia. Though used traditionally as a herb, science is now confirming its therapeutic role in various disorders. Curcumin, its bioactive ingredient, contributes to most of its therapeutic properties. Curcumin, the bioactive ingredient of turmeric, finds its use in many chronic diseases by virtue of its anti-inflammatory property. It inhibits the activity and production of inflammatory mediators. This can aid in controlling inflammation in bursitis. COX and LOX are two important enzymes involved in inflammation that lead to the production of various proteins that aggravate inflammation. Curcumin inhibits the activity of these enzymes and halts inflammation. Nuclear factor kappa B is the protein that regulates the activity of all proteins and genes involved in inflammation. By inhibiting the activity of this protein, curcumin controls almost all factors of inflammation. In fact curcumin manipulates over 20 biochemical targets in order to control inflammation. Curcumin prevents activation of inflammatory cells and raises the activity of anti-inflammatory agents in order to remedy inflammation. Review of 6 clinical trials in humans suggests that curcumin is a safe anti-inflammatory agent. Curcumin free turmeric also has anti-inflammatory property. Curcumin works as anti-inflammatory agent and helps in controlling inflammation in bursitis. Curcumin is recommended as a natural anti-inflammatory agent for pain relief. It inhibits the activity of inflammatory pathways regulated by nuclear factor kappaB and COX enzymes and hence can be considered as a viable alternative to non steroidal anti-inflammatory drugs used for pain relief. Curcumin is found to be effective in treating various kinds of pain. Animal study shows that curcumin can attenuate inflammation and injury associated pain. Analgesic activity of curcumin derivatives is found to be better than that of aspirin. An animal study comparing the pain killing properties of curcumin and painkiller diclofenac sodium, demonstrated that curcumin is as effective as diclofenac in reducing inflammation and thermal pain. A topical formulation of curcumin is also found to be effective in reducing inflammation like diclofenac. Study in humans also proves that curcumin is better than diclofenac in reducing pain and inflammation. The pain killing property of Meriva, a specialized formulation of curcumin, is found to be as effective as, but safer than painkillers such as nimesulide and paracetamol. The best part about curcumin’s painkiller activity is that it is safe and does not cause gastric erosions like the regular painkillers. Curcumin’s anti-inflammatory activity contributes to its painkiller activity. Research shows that is as effective or even better than regular painkillers and unlike regular painkillers it does not cause side effects. External injuries and wounds as well as excessive inflammation makes the bursae susceptible to infection. Curcumin is a broad spectrum anti-microbial agent: it inhibits and terminates growth of bacteria, yeast, fungi, viruses and even parasites. Turmeric oil also has anti-bacterial activity. Curcumin exerts strong bactericidal property against common bacteria species and also works synergistically with antibiotics. Also curcumin shows beneficial effects in experimental model of sepsis. Curcumin’s broad spectrum anti-microbial property can aid in preventing infection of the bursae. It works in synergy with antibiotics and helps inhibit growth of even drug resistant strains. Arthritis is held as one of the causative factors for bursitis. Nakagawa et. al have reported that curcumin at doses of 180mg/day is effective in reducing knee pain occurring in osteoarthritis and dependence on anti-arthritic drugs. Chandran et. al conducted a clinical trial where 45 patients with rheumatoid arthritis were involved. Bursitis can occur as a result of Systemic lupus erythmatosus, an autoimmune condition. Autoimmune disease is one in which the body’s immune system attacks the body’s tissue as a pathogen. Curcumin is proven to inhibit such unfavorable reactions of the immune system. 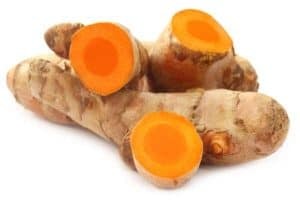 Curcumin’s pharmacological properties can aid in treating various causative factors of bursitis such as arthritis and systemic lupus erythmatosus. The Golden Paste can help in treatment of bursitis. This recipe combines turmeric with black pepper and healthy fats which increase its absorption in the body. About 1-2 teaspoons once or twice a day can help. Here are some easy ways to use The Golden Paste. You can also consume Turmeric Milk. 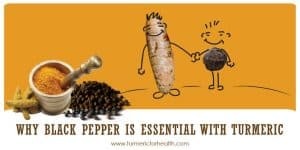 If you need help identifying good organic turmeric brands, please check this page. Turmeric in diet is safe. 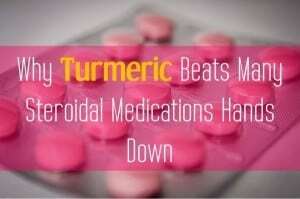 Turmeric supplements are concentrated extracts of curcumin and might cause drug interactions or unfavourable reactions in some cases. Turmeric if taken in excess can cause gastric discomfort. Turmeric supplements should be avoided in case of pregnancy and lactation. 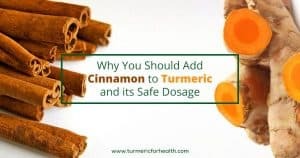 Turmeric can mildly increase bleeding risk and hence turmeric supplements should be discontinued 2 weeks prior to surgery. If suffering from gall bladder problems please void turmeric supplements. 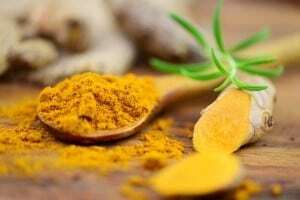 Turmeric supplements may have drug interactions with blood thinning agents, stomach acid-reducing drugs, certain anti-depressants and diabetes medication. 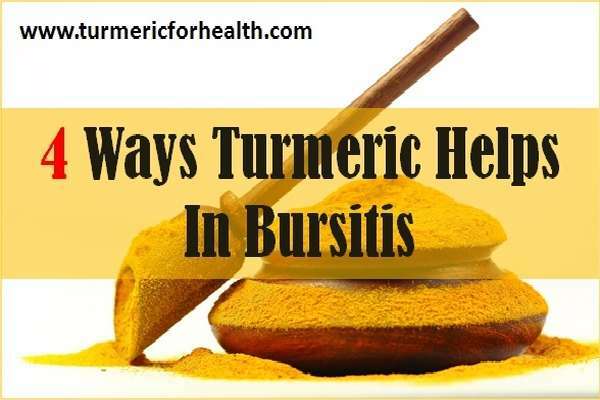 Turmeric is one herb that can really help in mitigating symptoms of bursitis. 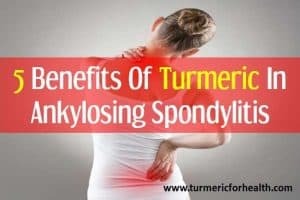 It’s anti-inflammatory and analgesic properties aid in controlling inflammation and pain. It can prevent infection of the bursae. Turmeric can also help remedy causes of bursitis such as arthritis and help in speedy recovery of traumatic injury. If you have used turmeric for bursitis, please share your experience.